We promote congregational engagement in social justice issues through mission projects and partnerships and we celebrate the Good News of Jesus Christ with our fellow Christians in Almonte. At St. Paul’s, we share the Good News of Jesus Christ by partnering to address the needs of our neighbours, both locally and globally. Consult the list here for details of our mission partners. offer a summer Vacation Bible School together with Almonte United Church. walk The Way of the Cross with our fellow Christians from other denominations, visiting the Christian churches in Almonte, as part of our Good Friday observance. take part in Almonte’s World Day of Prayer celebrations. Take turns with the churches in town to sponsor the monthly Community Friendship Luncheons. work with Almonte United Church and Holy Name of Mary Roman Catholic parish to support a family of Syrian new Canadians. Akany Famonjena orphanage and the Akany Tafita Centre for street children (Madagascar). Bales for the North: new clothes, blankets and other items collected are sent to a church in Northern Canada for distribution to people in that region. Casita Copán (Honduras): a home away from home for at risk children. Community Access (Costa Rica): improving technology infrastructure and access in Central America. Crisis Fund: managed by the incumbent, this fund is used to respond to the needs of local people on an ad hoc basis. Local Farm Support: providing various forms of support for Lanark County farm families having a tough time due to financial or family stress. The Hub Hospice serving Mississippi Mills, Carleton Place and North Lanark. Ottawa Inner City Ministries: an interdenominational Christian charitable organization serving homeless people in downtown Ottawa. Pikangikum Water Project (Northern Ontario): working with our aboriginal neighbours to address the water needs of the 400+ homes without clean water or waste water removal in a northern Ontario community. Primate’s World Relief and Development Fund: the Canadian Anglican response for emergency relief, refugees, development, and justice domestically and globally. SchoolBox (Nicaragua): working to improve education opportunities for children by building schools and providing supplies. Vidas Mission (Peru): supporting a medical centre, school and mission for native peoples. It’s hard to fill your mind with knowledge if you haven’t first filled your stomach – and that’s why Almonte and District High School (ADHS) has started a breakfast program for all of their students with help from local churches. Volunteers from Hillside Reformed Presbyterian Church, St. Paul’s Anglican Church, Cornerstone Community Church and the Almonte United Church work in rotation throughout the week to prepare ThunderMuffins. ThunderMuffins are a nutritious breakfast, available to all students without charge. The goal is to feed any student who wants to be fed, regardless of need. To learn more about this initiative, please read the whole story at Inside Ottawa Valley. 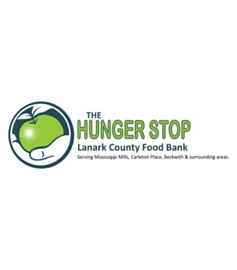 The Lanark County Food Bank serves clients in Mississippi Mills, Carleton Place, Beckwith, Pakenham, and surrounding communities. In an effort to make food bank services more accessible, St. Paul’s Anglican Church acts as an extension of theLanark County Food Bank, by acting as pick up site for Food Bank clients in Almonte and area. The Grace Brown Fellowship Room, located at 70B Clyde Street, is open Tuesdays from 2:00pm – 3:00pm each week for food order pick-up. Please note clients must be registered in advance with the Food Bank in Carleton Place. For more information, please contact the Lanark County Food Bank. St. Paul’s Anglican and Almonte United Churches (SPAUC) are pleased to be partnering with Holy Name of Mary Roman Catholic Church to sponsor a Syrian refugee family linked to the family already here. In addition to meeting and welcoming the family on arrival, we are converting our Parish House into a home for the family as part of our commitment to take care of their financial and social needs for a minimum of 12 months. This project is in addition to our other on-going community initiatives.